Dr. Pechik has over 20 years of full-time experience in structural and molecular biology in areas of investigating molecular mechanisms of biological activities, studies of structure-function relationship, and biomolecular engineering. His range of qualifications includes familiarity with numerous techniques involved in protein production and analysis, expertise in scientific computing, algorithms and software development, and knowledge of macromolecular crystallography, one of the most sophisticated and powerful methods in today’s biomedical research. Dr. Pechik received his Ph.D. from the Engelhardt Institute of Molecular Biology Russian Academy of Sciences. 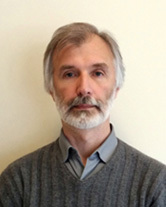 During his career Dr. Pechik worked in various institutions including the American Red Cross, the Center for Advanced Research in Biotechnology of the University of Maryland Biotechnology Institute (UMBI/CARB), the National Institute of Standards and Technology (NIST), and Walter Reed Army Institute of Research (WRAIR). The results of his research have been published in internationally respected scientific journals such as Proceedings of National Academy of Sciences of the U.S.A., The Journal of Biological Chemistry, Biochemistry, Biophysical Journal, etc. Dr. Pechik was an invited reviewer for the peer reviewed journals Biochemistry, Thrombosis and Haemostasis, and Journal of Computer-Aided Molecular Design, as well as a grant reviewer for the American Heart Association. For his achievements Dr. Pechik was honored with the diploma from the U.S. Department of Commerce for contributing to the international cooperation in Science and Technology, and with the Excellence Award from the International Society of Fibrinolysis and Proteolysis. Currently, Dr. Pechik is a Structural Biology Team Leader at Venenum Biodesign.